Janggu is a responsive Drupal news theme native to mobile displaying. 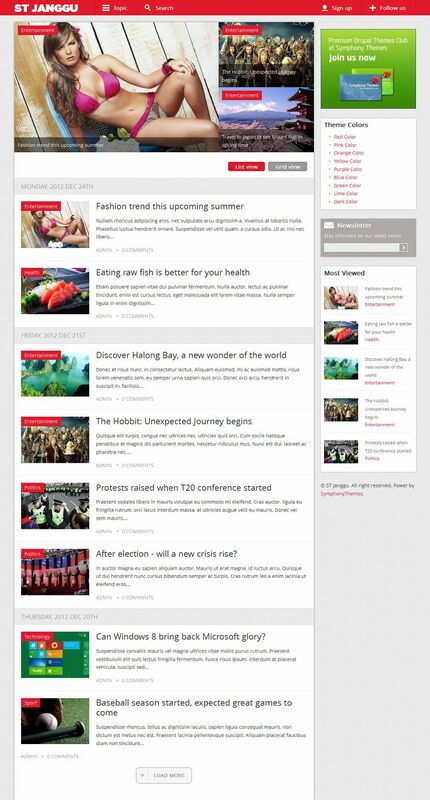 This theme follows layout styles of famous online magazines. The top navigation menu is simplified in all displays to preserve spaces for news. News Articles are grouped by posted date in a blogging manner. Mobile menu and mobile slideshow, swifting interactive by fingers.